HBO’s much praised crime anthology True Detective is nearing the climax of its engrossing eight-episode first season with a head of hard boiled steam and so many mysteries. Who really killed Dora Lange? Might our enlightenment-challenged heroes – pessimist grump Rust Cohle (Matthew McConaughey) and dim Everyman Marty Hart (Woody Harrelson) – actually be the villains? Will an otherworldly spaghetti monster soar and seize control of the godless Louisiana waste? We brought creator Nic Pizzolatto in for questioning and tried to make him spill. “In our third act, timelines, action and character all align. In that way, they may play as the most traditional episodes of True Detective,” he says. “Everything is moving toward a culminating action.” Here, Pizzolatto discusses the significance of The King In Yellow, the influence of Vietnam War narratives, and why he made Reginald Ledoux wear a jock strap. EW: Let’s cut to the chase. Should we suspect Rust or Marty of the murders they’ve been investigating? You’ve cultivated so much palpable dread that some are convinced that supernatural forces are at work. Like Cthulhu is going to rise up and take control of the world of True Detective? I hope the audience will be pleasantly surprised by the naturalism of the entire story. If you look at the series so far, what seems supernatural actually has real-world causes, like Cohle’s hallucinations, or even the nature of the crime. It has occult portents, but there is nothing supernatural about it. Many of us have been puzzling over the significance of The King In Yellow, an 1895 collection of meta-fictional “Weird Fiction” by Robert W. Chambers that influenced generations of horror and pulp writers. What’s the significance to you? You know, in the very first draft of episode two, Dora, in her diary, actually talks about ‘The Cypress King and his Stone Court.’ In writing, I noticed that Southern Gothic took you smoothly into the “Weird Tale,” whose visions of cosmic horror took you into noir and pulp. The King In Yellow is in there because it’s a story about a story, one that drives people to madness. Everything in True Detective is composed of questionable narratives, inner and outer, from Cohle’s view that identity is just a story we tell ourselves, to the stories about manhood that Hart tells about himself, to the not always truthful story they tell the detectives investigating them. So it made sense – to me, at least — to allude to an external narrative that that is supposed to create insanity, or as I prefer, deranged enlightenment. When I did that, a kind of secondary language began to form in the scripts, where the notion of cosmic horror became a very real part of the environment, at least for those who know Chambers’ work. The cult possibly responsible for the murders worships a figure known as “The Yellow King” and refers to a place called “Carcosa.” These words come from Chambers’ book. Will you make plain what they mean to the world of True Detective? 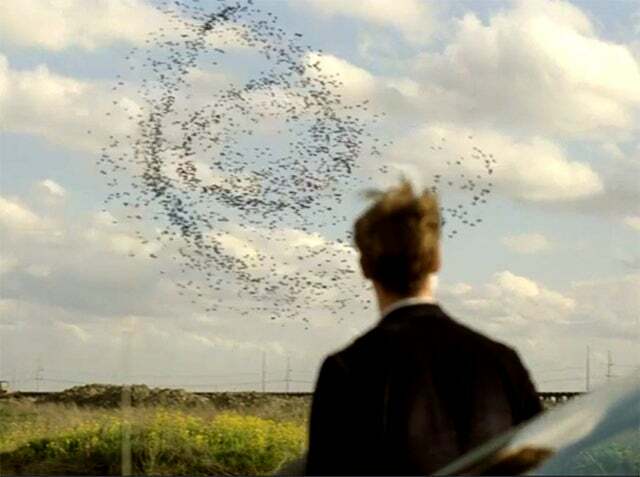 Many of us see True Detective depicting the idea of fallen world (a must read: Maureen Ryan’s essay on the theme), or a world where “God is dead” (at least, according to the anti-gospel according to atheist Cohle) and challenged with meaninglessness and nihilism. It would even seem to suggest that we fill the void or assuage the anxiety with our fiction, for better worse, be it with mythic hero stories, or tales of law and order, or crazy cult-pop texts like The King In Yellow. Is this a valid interpretation? I think that’s a really valid interpretation. If you look at the symbol of that cult, the spiral, it’s also a gyre, isn’t it? The ‘widening gyre’ of Yeats’ “The Second Coming.” And that’s what you’re describing: The falcon cannot hear the falconer/things fall apart; the center cannot hold. So what you have here – and this is the part where True Detective is like a Western – is that you have these spiritual ancestors of the type of men who settled the frontier, but now they’re roaming this exhausted frontier. You’ve mentioned that True Detective represents a catalogue of your cultural obsessions and influences. Could you mention a few? There are so many. Whatever I watched, whatever I loved in 36 years of life on Earth, probably had some influence on me. For example, Cohle’s space-time speech. I can tell you that that’s Nietzsche’s eternal recurrence, and that is indeed Nietzsche’s line that time is a circle, that “all truth is crooked, time itself is a circle.” But that’s also quantum cosmology and Brane Theory. And then I remember that I was inspired by a line from Marilynne Robinson’s Gilead, and I am paraphrasing: ‘He believed our lives were the songs they sung in eternity.’ And then I had this thought about the human complaint – Job’s complaint — being reduced to: “I think I’m a character in a story, and I don’t like how you’re telling my story. I do not like it at all.” But beyond something that highbrow? My influences? That seventies British cop show The Sweeney is in there. The three Davids are in there – Chase (The Sopranos), Milch (Deadwood), Simon (The Wire). Michael Mann (Thief, Manhunter, Heat) is in there. The last 15 minutes of episode four [in which Rust Cohle, in his undercover Crash guise, infiltrates the Iron Crusaders and raids a stash house in the projects] is a Michael Mann tribute album. Faulkner was there, too. A lot of speculative philosophy. A lot of pulp fiction. Red Harvest by Dashiell Hammett, still to me maybe the best crime novel ever. In the savagery, in the exhausted frontier. It was all kinds of things. One of the most haunting images in the show came in episode three, when we first glimpsed Reginald Ledoux wearing a gas mask and underwear. I can tell you where that came from. That was written very specifically, that he has that kind of gas mask on, and he’s walking around with a jock strap and tattoos on. The jock strap and the tattoos, I couldn’t think of anything more frightening than that coming at me through the woods. But the gas mask, I remember being inspired by Hieronymous Bosch’s portraits of hell and a monstrous, fallen world and photographs of masks that plague doctors used to wear. Long needle noses. And some of those World War One gas masks. The point is that they’re very unearthly. It makes human beings look more insect like. Those pointy masks are just really, really freaky. So I wanted a gas mask the recalled the proboscis of a mosquito. And here I thought you were going for a Breaking Bad reference. Well that’s actually a jock strap, not tighty-whiteys. But great! 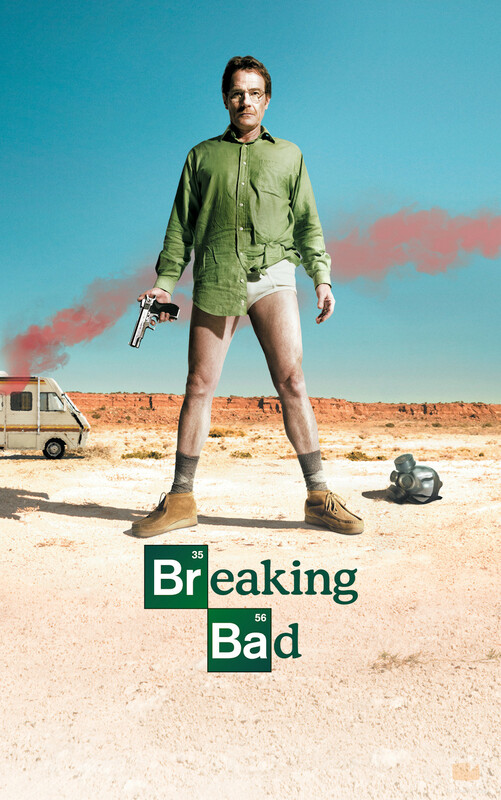 I like Breaking Bad. Was the tracking shot at the end of episode four your idea or did director Cary Jo Fukunaga come up with that? Cary. But that scene was written as real time. It’s 12 pages of nothing but action. We say: “We’re now moving into real time action here.” This absurd raid on a stash house turns into Assault On Precinct 13, and then everything goes to hell. Cary wanted to try it as a tracking shot. And part of the reason it was an action scene was that I wanted to release all the coiled tension that had been building over the last three episodes, and to have that big action scene to counter our big anti-action scene in episode five. [When Rust and Marty Hart take down Reginald Ledoux and DeWall.] Cary thought this would work great as a single take and heighten the catharsis of sudden action. There’s been much discussion, pro and con, about Cohle and Hart as examples of TV’s fixation with “anti-heroes” and hideous men. Will True Detective bring us to a final judgment on these archetypes? By the end, both will be stripped of many illusions. Yet while they may embody traits of the anti-heroes we’re used to seeing lately, they’re also melded with a very classic John Wayne type of hero. What’s being deconstructed here, if anything, are archetypes of post-war masculinity. If you look at their swagger and behavior under fire, they are fixated on articulating a specific kind of stoic or Orwell-like masculinity that they’ve picked up from somewhere else. For each man, the final confrontation is the realization that they don’t work. For me, two of the most touching moments in the series come in episode 7, when Marty asks Maggie what she talked to the cops about, and he thanks her for raising their daughters well; and when Cohle and Hart each describe their lives since the end of their partnership, and it’s clear that each of them are alone and living very isolated half lives. Hart put a TV dinner and a beer down on a TV tray and watches a cowboy movie, Cohle takes the trash out at the end of the day after working at the bar. If you consider that both of those revelations are the sad end results of the truths that neither man would face about themselves, to me, that’s the total vision. That’s what we’re saying these men, and about heroes and anti-heroes. Throughout True Detective, the characters make references to fathers who fought in wars, and specifically, Vietnam. Many critics (including myself) have speculated about the influence of Vietnam War narratives – historical and fictional – on the story and the characters. Valid? That Vietnam stuff you spotted which is very real. I don’t know if it was this way for you, but especially when I grew up, for boys of my generation, Vietnam lived in our imagination, at least in some way, like how World War II lived in the baby boomer imagination. We knew something bad happened; it broke the country; people weren’t the same afterwards; and now there’s a bunch of movies and TV shows about it. And so you have Cohle and Hart, who never went to war, but were both raised by men who went to war, and so that narrative lives in them, for better and worse. They were fighting pure evil. Nothing to say, nothing to question, you’re fighting pure evil. But after Vietnam, our pulp-pop heroes changed. You don’t see too many Captain Americas of certain moral authority. They gained depth. They gained depth from having their contradictions revealed. Often, what allows someone to behave heroically in dire circumstances is unpalatable in day-to-day life. In the sixth episode, Maggie – betrayed anew by philandering Marty — ended her marriage and destroyed the Hart-Cohle partnership by seducing Cohle. It was her only significant action in the show, which, in general, has lacked for fully realized female characters. Have you heard the criticism that the show lacks fully realized female characters? How did you approach writing them? And in episode 7, the judgment of Marty for his failings is expressed via the revelation that Maggie and his daughters flourished after cutting Marty out of their lives. Clearly they did. We had a scene where you glimpsed Maggie’s new husband but it was cut. They’re all much healthier. That’s what Hart is thanking her for in 7. Thank YOU for doing everything. Has HBO ordered a second season? They want to do season 2. I just have to give them scripts and see if they like them! It would be great if we could use some of the same actors, like a reparatory company. It would be different characters, different setting. That’s part of the fun of the anthology. Finally: Is “Big Hug Mug” an anagram for “Humbug Gig”? And is “Rust Cohle” an anagram for… well, something? 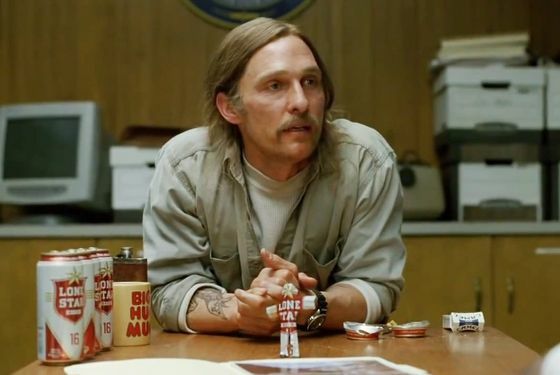 Rust Cohle is not an anagram for anything that I know of. As for Big Hug Mug, nobody knew that was an anagram for Humbug Gig. Damn! Now you’re stripping away our illusions! I know! See, I don’t want to destroy that stuff by copping to it. [Laughs] I’m really grateful it’s had that effect on people.